1.) NGLY1 is a global team. Where were you born and raised? I was born in Sendai, Japan. 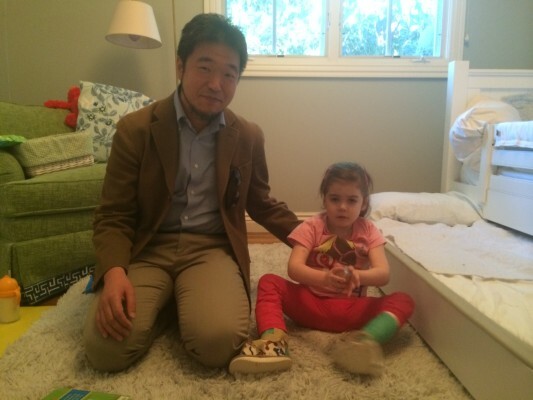 I lived in Tokyo from 4 years old until 27, when I moved to the United States as a post-doc. I’m now back in Tokyo. 2.) How did you get into science? I graduated from the Department of Biophysics and Biochemistry, University of Tokyo Graduate School of Science. After completing D. Sci (equivalent to PhD) at the University of Tokyo, I spent 5 years as a post-doc at Stony Brook. Afterward, I was an assistant / associate professor at a couple of universities. I am currently a team leader of the Glycometabolome Team at RIKEN in Wako, which is ~ 40 minutes away from the center of Tokyo. 3.) How did you select your particular area of focus? When I was an undergrad student, I joined the laboratory of Prof. Yasuo Inoue. At the time, his laboratory discovered a peptide:N-glycanase (PNGase) activity in fish embryos as a first occurrence of PNGase activity in animal origin. So my task was to find out a similar PNGase activity in mammalian cells. Unfortunately I could not find a similar one, but instead came across an activity of cytosolic PNGase (Ngly1) with totally distinct enzymatic properties than other PNGase from other organisms (bacteria, plants, or fish). It was such an unexpected result as not many believed at that time that N-glycoproteins could be localized in the cytosol. My long scientific journey on PNGase / NGLY1 just started from there. Definition of “cytosol” – it’s the liquid found inside cells. 1st time meeting Tadashi. Taken in 2013. This was after our breakfast meeting / brainstorm (you can see notes in my hand). Tadashi had tears in his eyes meeting us. He had never met anyone who was directly affected by NGLY1, a gene he has studied for 20+ years. People dismissed his research for many years. They said it didn’t impact any humans and he was wasting his time. Boy, were they wrong. While Tadashi has a long career remaining, meeting the 1st people living with NGLY1 Deficiency was validation to his years of research. He feels every NGLY1 patient is like his own child. 4.) What intrigues you the most when it comes to NGLY1 mechanics? The evolutionary diversity…the structure is so different from species to species and mutant phenotypes are also quite different. When I first cloned the Ngly1-orthologue gene in budding yeast (called PNG1), the mutant did not show any significant growth defect under various experimental conditions. Thus few people believed that this was an important enzyme. And then some orthologues in fungi even lose enzyme activity as they lose amino acid residues critical for enzyme activity, but are still biologically important (i.e. mutants exhibit severe phenotypes). It is such an amazing protein. Definition of “ortholog” – Genes in different species that evolved from a common ancestral gene. Normally, orthologs retain the same function in the course of evolution. 5.) What is one thing people would be surprised to know about your daily work with NGLY1? I am so fascinated in this enzyme, so I have been working on the gene orthologue of this enzyme from diverse organisms: mice, flies, worms, plants, fungi, yeast, you name it ☺. But right now I am currently focusing on mice and yeast. 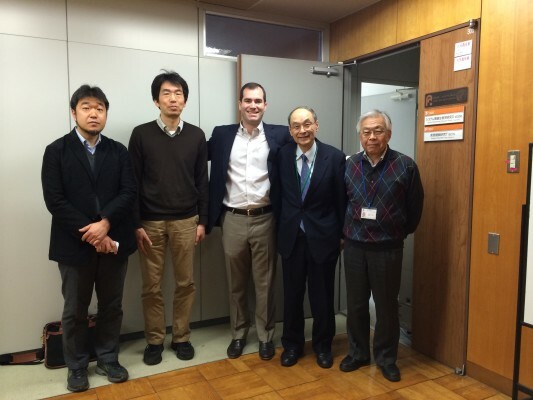 Meeting the Glycometabolom team at RIKEN. 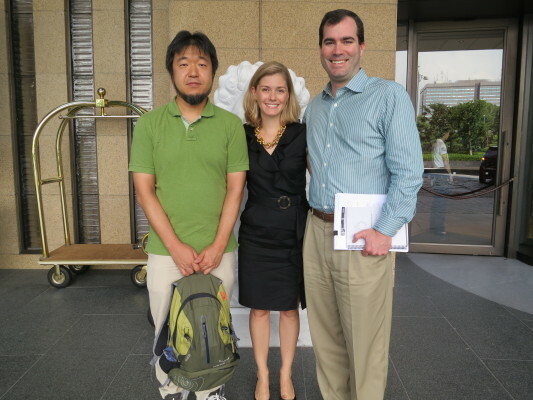 This was my 2nd trip to Japan to see Tadashi, but my 1st trip to RIKEN. 6.) What is the biggest challenge you face in your research today? Getting funding for curiosity-driven science. Nowadays the grant agency tends to ask us to carry out research that we already know to be important. The beauty of pure, fundamental science is that it leads to unexpected, serendipitous findings. Not even I expected NGLY1 to be such an important enzyme. Having said that, we are lucky that we have funding on NGLY1 research. It’s not surprising now that we have human patients. But my genuine interest also is to come up with second and third examples similar to Ngly1; you would be surprised to see that there are so many enzymes / transporters remains to be identified in catabolic pathway of glycans. No one knows how “important” those processes are. 7.) What trends in medicine are you most excited about? I hate to say that I am not so knowledgeable to comment on medicine, but I think that exome analysis is such a cool methodology. Because of this technique, the discovery of causative genes for many genetic diseases has been really accelerated. 8.) What do you think is going to bring us closer to a cure? From my perspective, ENGase-inhibitor is a very strong candidate for treatment of NGLY1-deficiency patients (please see our recent PNAS paper!). But I think the most important thing right now on Ngly1-research is to have doctors / scientists with diverse backgrounds scrutinize this disease. I am a biochemist / glycobiologist, and I believe I am good at what I am doing, but I am not so knowledgeable on things outside of my expertise like immunology, neurobiology, or infectious diseases. So I hope that experts of different research fields investigate NGLY1-deficiency without any preconceived ideas. We need many researchers to look at this disease from different angles. Tadashi meeting Grace for the 1st time! She was so excited to show him her room, books, and toys. 9.) How do you unwind after work? On weekends, I enjoy playing trombone. When I was an undergrad student I devoted myself to playing big-band jazz and I am still playing that with my old friends. I also enjoy strolling around a local town with my lovely wife☺. 10.) What is your favorite science or medical book that is approachable for our donors and followers who are mostly non-scientists? Well, I have to confess that I do not have one…I hardly read English books…I like Japanese books on Yamanaka-sensei! Reader note: Yamanaka-sensei is Shinya Yamanaka. He won the Nobel Prize for his work in the stem cell field. Dr. Yamanaka is also a member of the NGLY1 Team. To learn more about Tadashi, please visit http://www.asi.riken.jp/en/laboratories/departments/cbd/sys-gly/glyco/.